Putting an end to another case of procrastination, I want to talk about one of my favorite dishes. Carbonara, a pasta dish consisting of an egg-based sauce and a form of Italian bacon (such as pancetta), is something that I had a lot of during a four-year stint in Italy as an Air Force serviceman. Since leaving Europe, my opportunities to indulge in carbonara have been rare. More times than not, the pasta was mediocre and disappointing. I'm not saying that the carbonara was bad, but it didn't meet my expectations for excellence. Nonetheless, I should have blogged about my experiences but the uninspiring pasta didn't move me to do so. An example of the carbonara that I've had in America is the version served by Bari Ristorante in Memphis' Overton Square district. Other than the thick sauce, Bari's carbonara is okay by most standards. It usually has modest amounts of pancetta, onions, parsley and garlic, along with other herbs and spices for something that's decent yet unexceptional (Parmesan cheese is optional). Compared to restaurants that I visited in Italy, Bari's carbonara gets a "B-" for good quality that doesn't push the envelope for greatness. I hope I'm not being harsh, but I'm just calling as I see (and taste) it. I also had Bari's calamari as a side dish during a recent visit. Actually, it was more like an additional "tapa" to the small plate of carbonara that I ate. For the most part, the calamari was good although I'm not used to eating it grilled (Bari's menu lists it as "calamari e polipo alla graticola" which translates to "squid and octopus on the grill"). The charred portions of it undercut the rest of what I felt was good calamari (I prefer to have it pan-seared). Of course, this is just an unqualified opinion based on numerous experiences with the seafood appetizer. 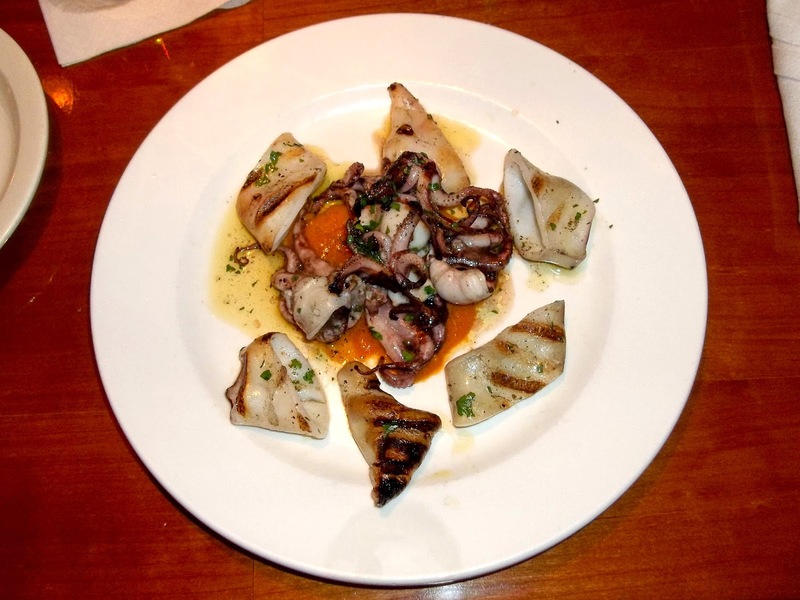 For those who really like grilled foods, Bari's calamari might win them over. As it relates to carbonara, I believe that the restaurant's squid appetizer is a good match like grilled chicken and Alfredo pasta. All around, Bari's calamari is good as far as appetizers go. After carbonara experiences at restaurants like Bari, I thought it was as good as it gets in Memphis and the rest of America, but a chef at one of favorite bars proved me wrong. 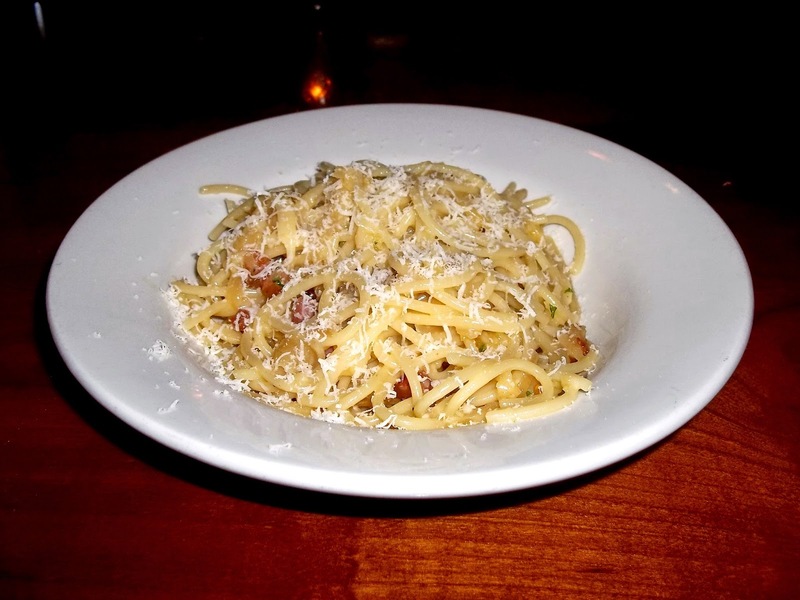 While at Bardog Tavern during a weekday afternoon, Executive Chef John Haley asked if I wanted a plate of carbonara. He was following up on a request I made a while back after missing out on a special featuring the pasta. 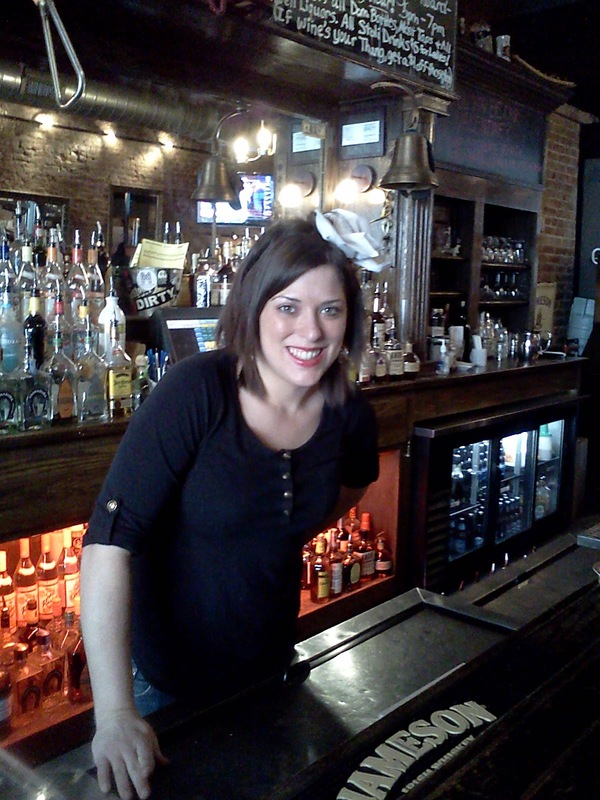 It wasn't something that I planned for, because I was content on chilling at the bar and listening to my favorite sports talk show host (Jim Rome) through my phone while getting beer from a beautiful bartender (Brittany). Of course, loving carbonara the way I do, I wasn't passing up an opportunity to try the bar's version of one my favorite pastas. Bardog's version of carbonara is outstanding. From the second that I laid my eyes on it, I knew it was going to be one of the best things that I would taste in 2014. The carbonara had plenty of pancetta along with a lot of parsley, onions and grated Parmesan cheese. I was a little surprised that Chef John used a powdered (as in a can) version of Parmesan that, in my opinion, is more salty than an actual block of cheese. Fortunately, the Parmesan and all the other ingredients (including basil, if what I sensed is correct) worked well with the thick carbonara sauce and spaghetti pasta. 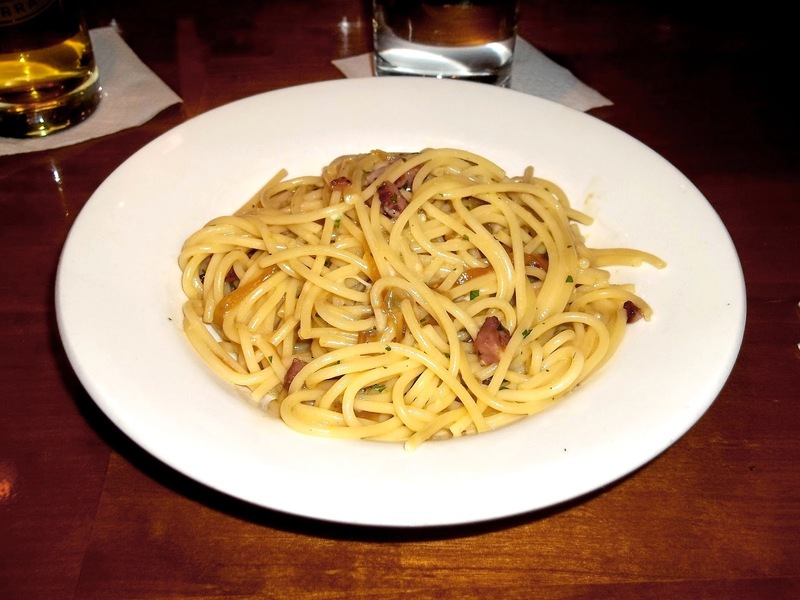 Unlike carbonara at other restaurants, Bardog's pasta is vibrant and very flavorful in a way that makes it exceptional. The only other times that I've had carbonara this good were in fine restaurants in Italy, and Bardog's version (like all the other pasta dishes on the menu) is reminiscent of that. I don't know if the carbonara recipe is Chef John's or the man behind it all (Aldo Dean), but whoever came up with it is a genius. Currently, carbonara isn't on the menu at Bardog, but that could change if enough people ask for it. It's a great dish that I hope others get to know. UPDATE (July 11, 2014): After talking with Aldo, I've found out that the carbonara recipe is neither his nor Chef John's. It originated from a former chef for the bar (Demitrie Phillips) who passed it on to his successors. Last I heard, this chef is working at Cafe Keough. Unlike with Bari, I didn't get calamari with the carbonara at Bardog. If I did, it would have been fried and served with a topping of Sriracha aioli and a side of cocktail sauce. I won't try to compare the two squid appetizers because it would be the equivalent to an apple vs. orange comparison. 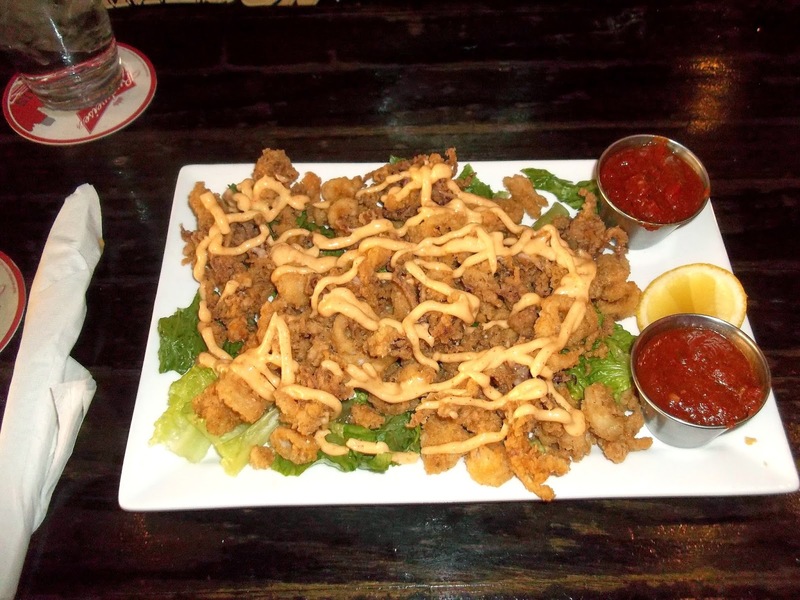 However, Bardog's fried calamari is on par with most restaurants that serve it. That said, the calamari is a bit salty, which isn't necessarily a bad thing although my doctor would disagree. If paired with the carbonara, I believe that they would go well together. After comparing the two restaurants, it's my opinion that Bardog Tavern has the better carbonara. With all the ingredients that make up Bardog's version of it, the pasta outclasses Bari Ristorante and many others that serve it. This isn't to say that I don't like Bari's carbonara, but eating it is like driving a Buick. By that, I mean it's a good experience but not exactly memorable. Chef John's carbonara is more like a Bentley (a car that I've never ridden in) that has all the bells and whistles to provide a ride unlike any other. 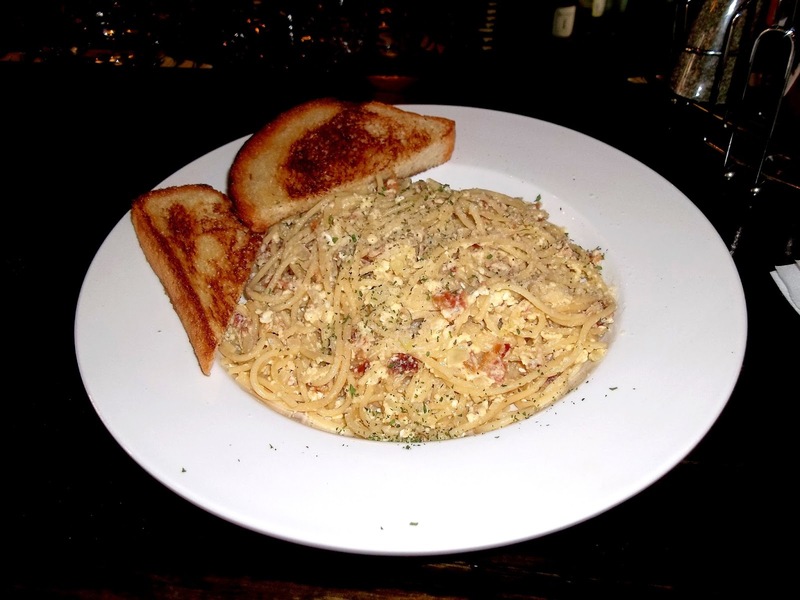 If anyone is looking for excellent Italian carbonara without the hassles of going to an upscale restaurant, Bardog Tavern is the place to go (provided Chef John is in the house). 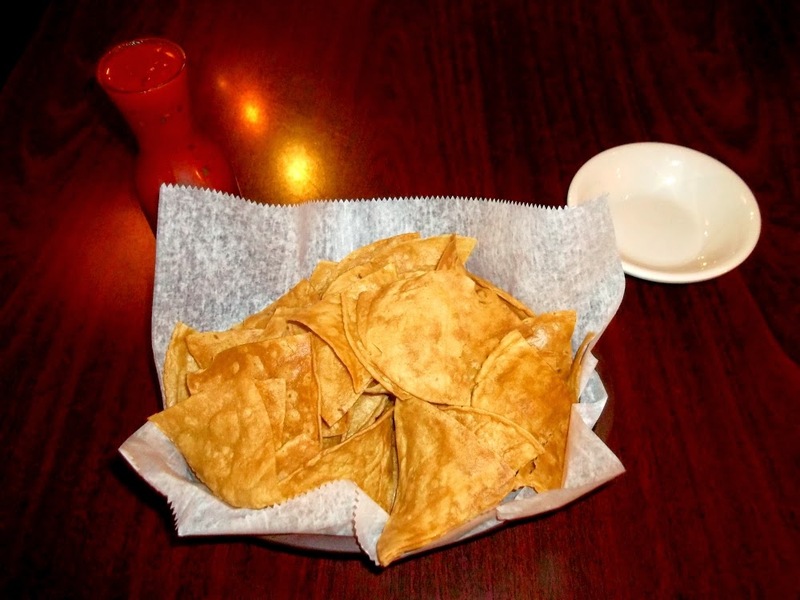 I'm glad that I "finally" got around to blogging about one of favorite dishes. I probably would have blown it off completely if I hadn't run into Chef John during this year's (2014) Memphis in May BBQ Fest. Seeing him reminded me of the favor he did in making the carbonara despite it not being Bardog's special for that day. I appreciate it and all of his other marvelous dishes. John Haley is a chef that deserves his due praise. SIDE NOTE: Speaking of the 2014 Memphis in May World Championship Barbecue Cooking Contest, I want address a comment from a "spokesman" for one of the participating BBQ Fest teams. As he said, you will never find me in the team's booth because I'm "persona non grata." While that's true, I also want to point out something else that will hardly be there: barbecue or anything else that's edible. It seems that $20,000+ (membership fees, sponsorships and other revenue) doesn't buy as much as it used to. Well, at least the team won a non-food trophy at the last barbecue fest. All things considered, that seems about right for a group more suited for partying than 'cuing. 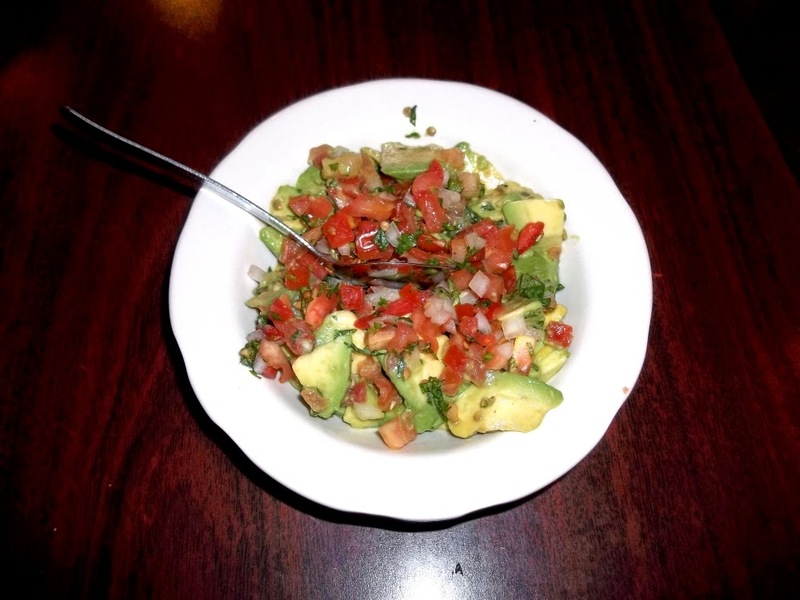 Part of the reason why I haven't blogged about carbonara, my favorite guacamole and other things in the past is that I've been pursuing more important endeavors. Especially, I've focused on a goal that has eluded me for 5½ years: full-time employment. After years of searching, I finally have good news (which you might have heard about via Downtown Memphis' Pathetic Retard's Journal): I GOT A JOB! Thanks to a friend who put in a good word for me, I'm working as a graphic artist for a company that sells flags throughout America. After years and literally hundreds of attempts of applying for jobs that would pay a decent wage, I came very close to giving up. Fortunately, I have a friend who had my back and made a big difference in influencing my new employer. I am very grateful for that and will do my best in promoting the interests of the company that hired me. The way I see it, I need to make the most of this opportunity because this is the last hurrah of my career. Not that I'm ready to retire, but I know that I probably won't find another job in graphics in the foreseeable future because of reasons that I won't elaborate on. Anyway, I'm happy for what I have and anxious to "Git R Done!"